Auroral footprints can be seen in this image from Io (along the lefthand limb), Ganymede (near the center), and Europa (just below and to the right of Ganymede's auroral footprint). 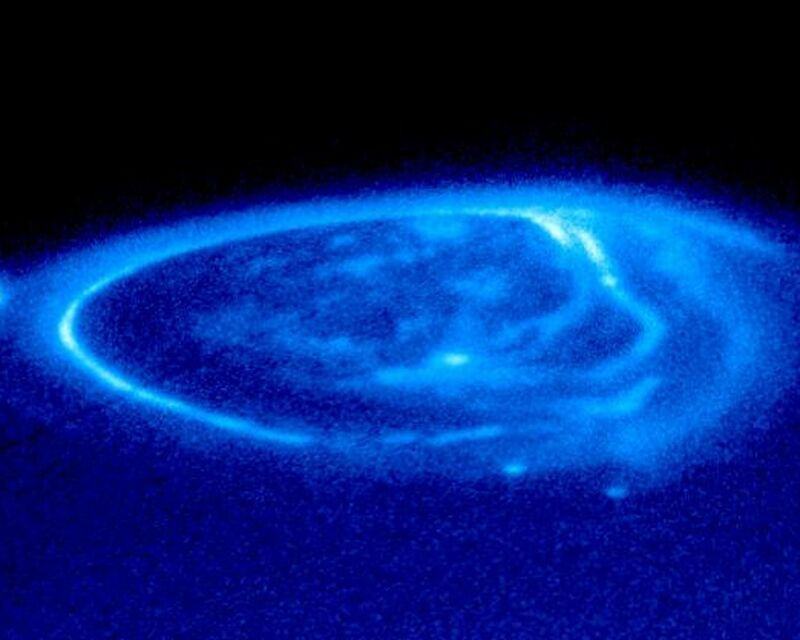 These emissions, produced by electric currents generated by the satellites, flow along Jupiter's magnetic field, bouncing in and out of the upper atmosphere. They are unlike anything seen on Earth. 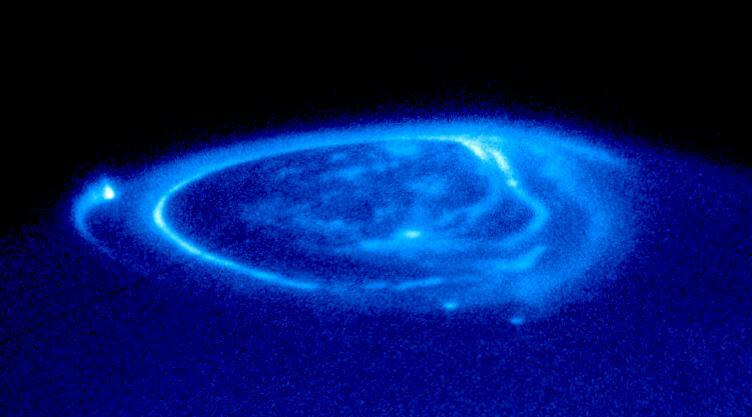 December 14, 2000 inaugurates an intensive two weeks of joint observation of Jupiter's aurora by Hubble and the Cassini spacecraft. Cassini will make its closest approach to Jupiter enroute to a July 2004 rendezvous with Saturn. 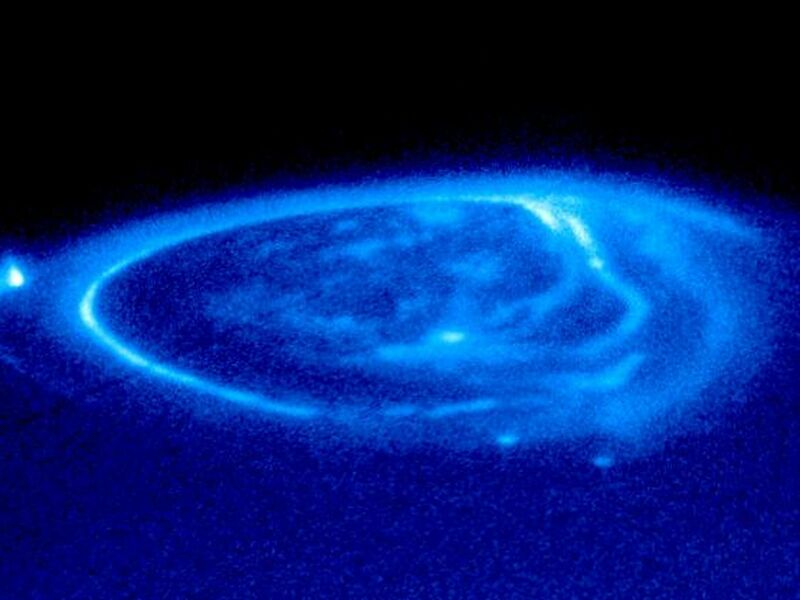 A second campaign in January 2001 will consist of Hubble images of Jupiter's day-side aurora and Cassini images of Jupiter's night-side aurora, obtained just after Cassini has flown past Jupiter. 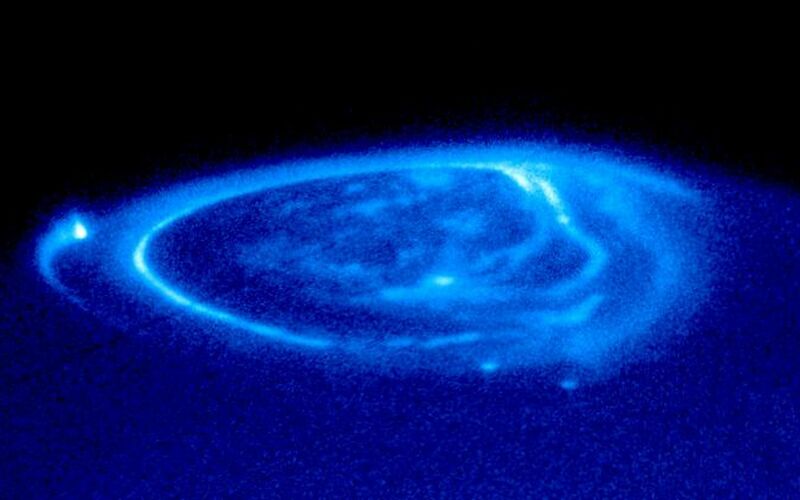 The team will develop computer models that predict how the aurora operates, and this will yield new insights into the effects of the solar wind on the magnetic fields of planets.